The whole world dreams about coming to Waikiki and why shouldn’t they? Waikiki is a tropical paradise on earth. Waikiki boasts perfect sun, sand, surf, amazing water and air temperatures year-round, and beautiful people on it no matter what time of day. 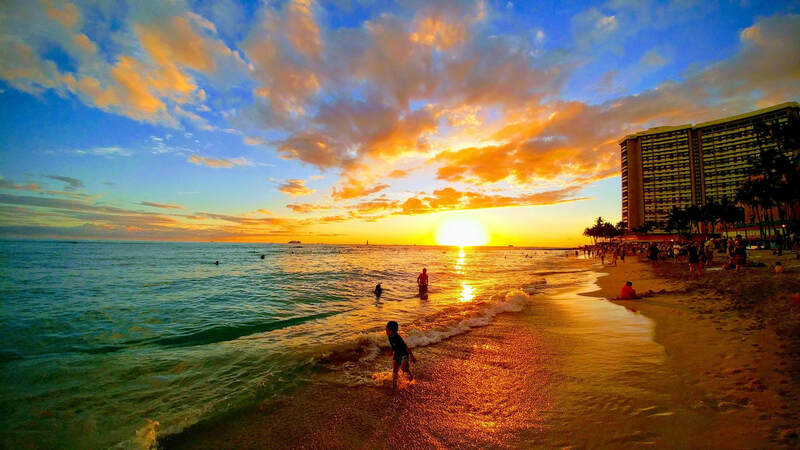 There is probably no tropical beach destination in the world that is more famous than Waikiki - this tiny suburb of Honolulu on the tiny island of Oahu in the tiny U.S. State of Hawaii. And yet, when people come here - the first thing they notice is that it doesn’t feel like it’s a part of the USA. 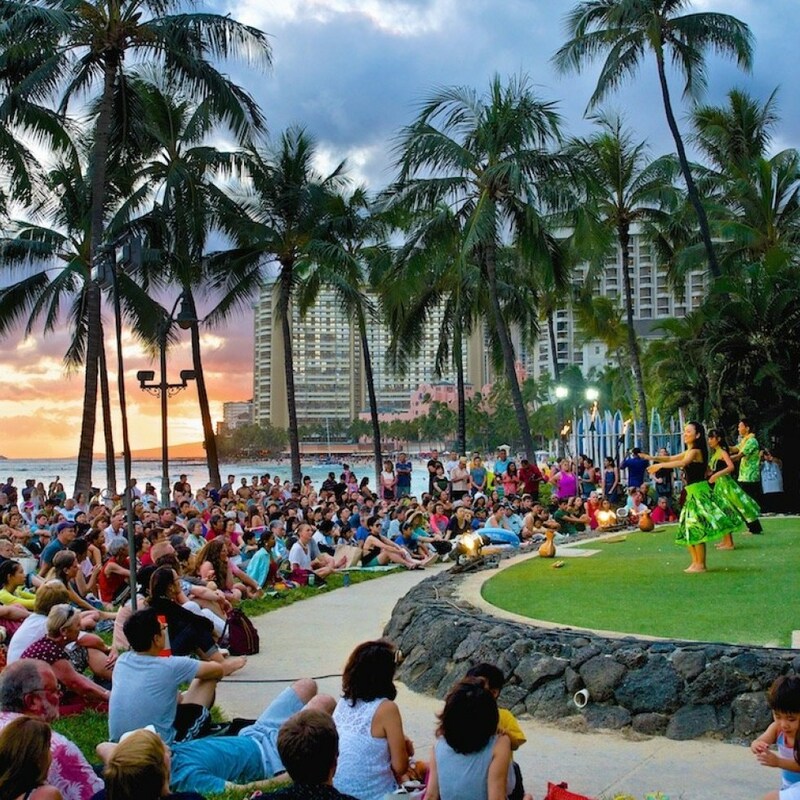 Hula show at Waikiki Beach. 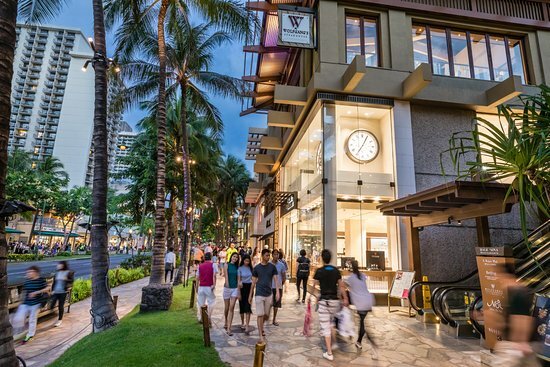 Shopping, food, and cafes on Kalakaua Ave.
​Modern day Waikiki is part American, part Japanese, part Australian, part Filipino, and increasingly becoming part Chinese. Waikiki is not just the beach but also the neighborhood around it. It extends all the way from Diamond Head to the Hawaii Convention Center - not quite to the world famous Ala Moana Shopping Center. It is squeezed between the Ala Wai Canal and the Pacific Ocean - and actually, if it weren’t for the Ala Wai Canal - Waikiki would still be a swamp. A beautiful swamp, but still a vast wetland of ponds and streams. 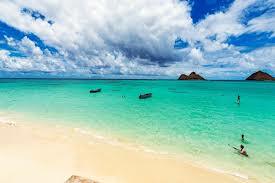 It is rumored that the famous sand of Waikiki has been brought from California, Fiji, the North Shore of Oahu, and Maui. 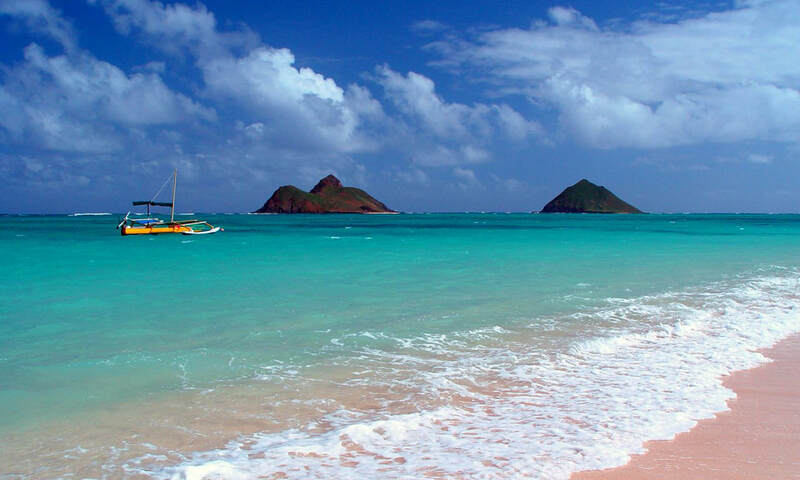 Waikiki is actually made up of seven different beaches - Queens, Kuhio, Kaimana, Gray’s, Fort DeRussey, and Dukes. 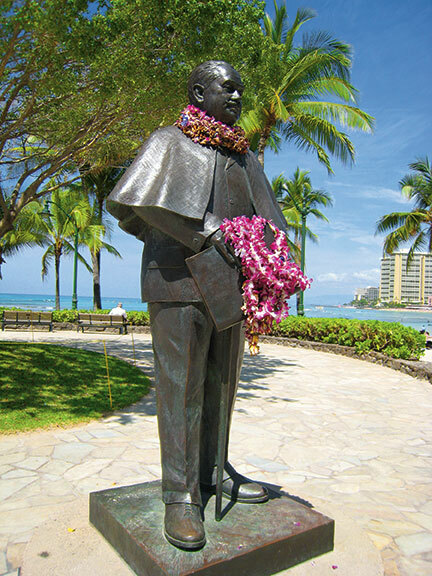 Dukes is the one that has the statue of Duke Kahanamoku in front of it. Queens is down across from the Honolulu Zoo. Back in the pre-contact days, before the canal was built - Waikiki was a wetland agricultural spot for the ancient Hawaiians. 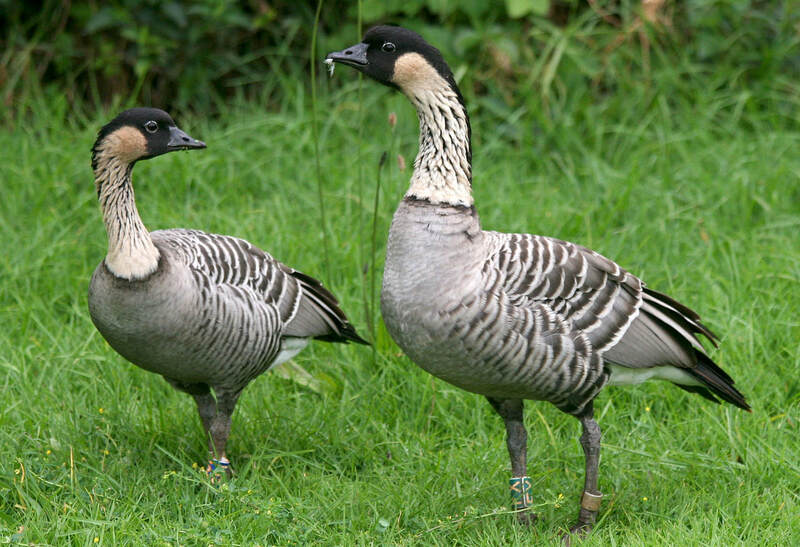 The name means spouting fresh water. 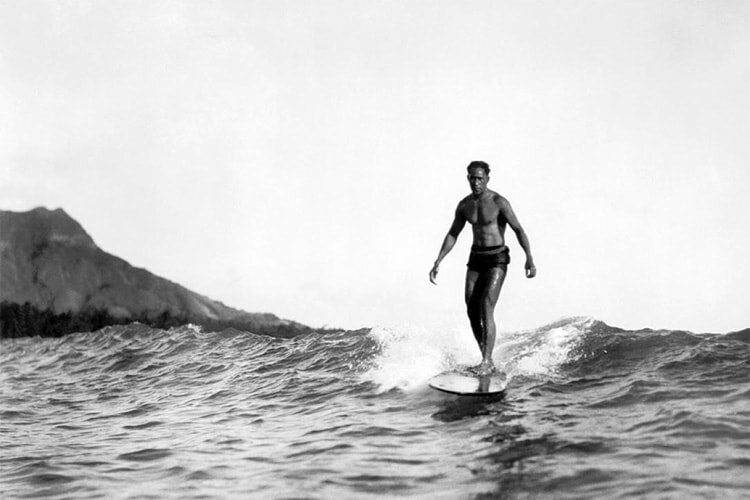 If you were to go back in time, you wouldn’t find a place to work on your tan or watch bikini clad girls - instead you would find farmers growing fish, seaweed, and kalo. 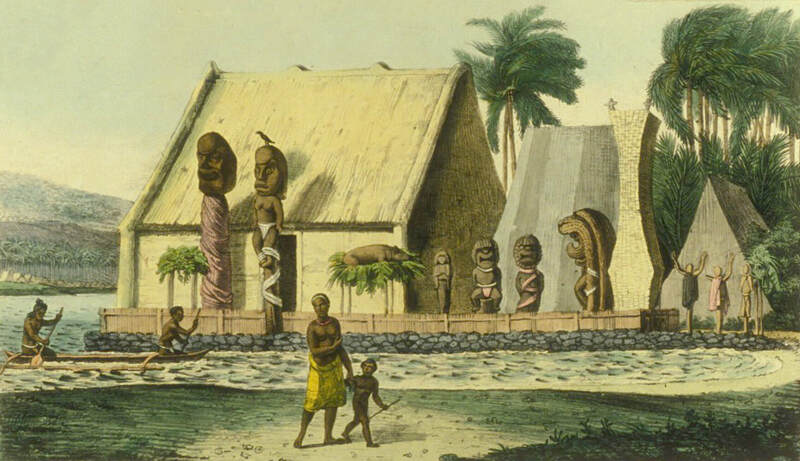 Artist's interpretation of Waikiki, pre-contact (prior to the 1800's). Modern day Waikiki Beach at sunset. 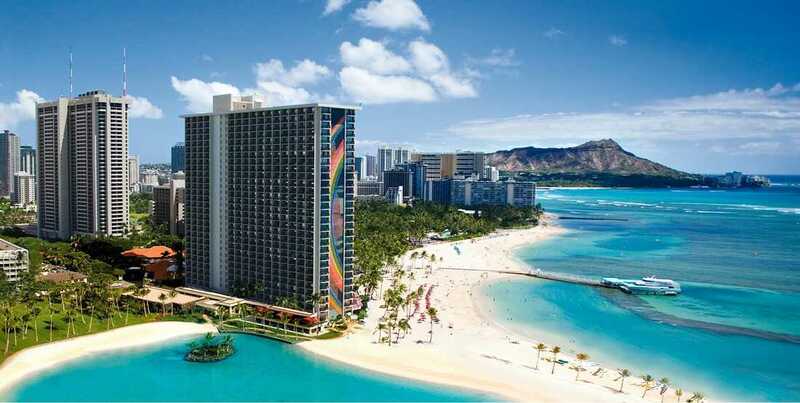 ​Today, Waikiki is famous for nightly hula shows, surf competitions, and plenty of high end shopping. There is plenty going on in Waikiki and for most people, it’s a great place to get introduced to Hawaii - but - make sure you get out of Waikiki while you are on Oahu. Some of the best tourist attractions on Oahu are off the beaten path and out of Waikiki and Honolulu. 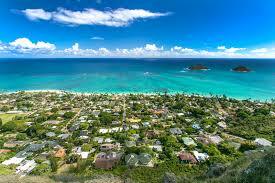 Private Tours Hawaii will be glad to share these sites with you! 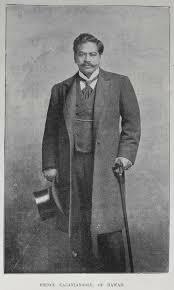 In looking backward, we see that it is the male Hawaiian deities who get most of the glory and while there is not as much information available today about the goddesses of old Hawaii - they were important in the daily life of Hawaiians. With that said, Hawaiian Goddesses are actually more invoked today than the four major gods Kane, Kanaloa, Ku, and Lono. Madam Pele, the goddess of the volcano is the most well known. We’ve devoted a separate blog post to her here. 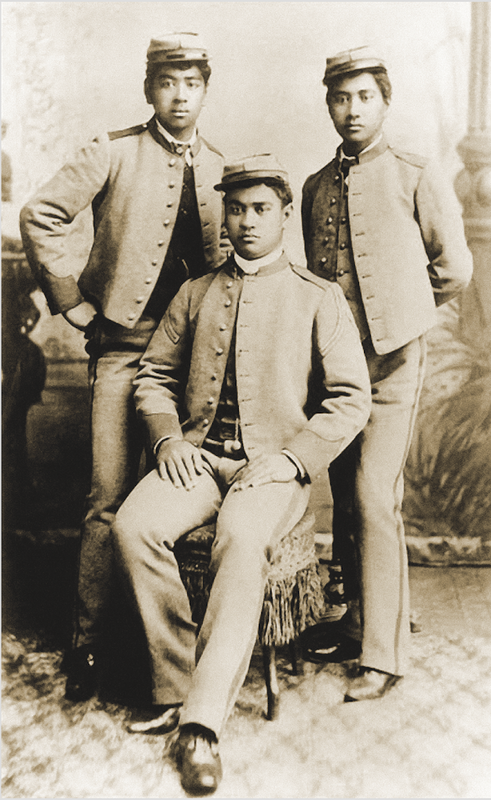 In this particular article, however, we’d like to introduce you to four more of the most important female ‘akua in the Hawaiian parthenon. 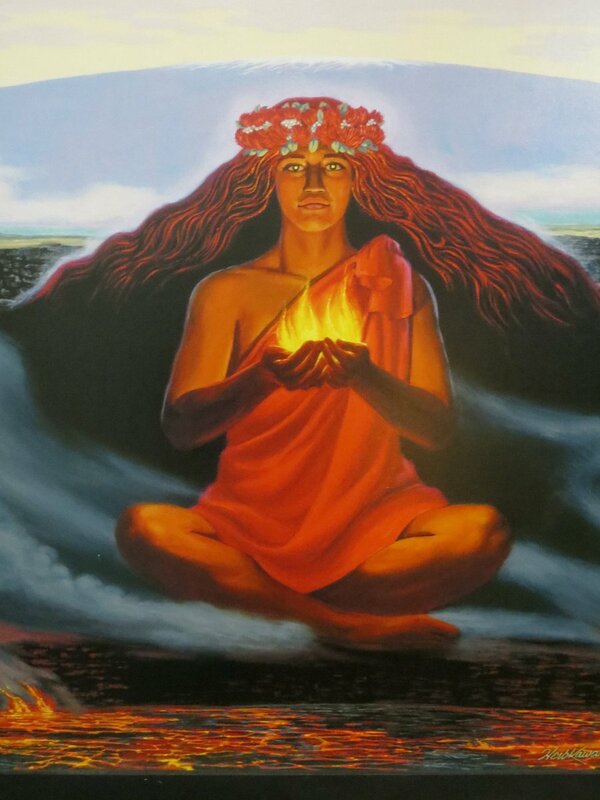 An artist's depiction of Madam Pele, Hawaiian Goddess of Volcanoes and Fire. ​Haumea is the goddess of childbirth. Some claim she is actually Papa, the Earth mother - but others say she was a mortal woman who achieved so much mana delivering children that she became a deity. Still other stories say that she is the sister of Kane and Kanaloa, the mother of Madam Pele, or the first human woman - the Hawaiian Eve. Hina is the goddess of the moon and sometimes said to be the wife of Ku. 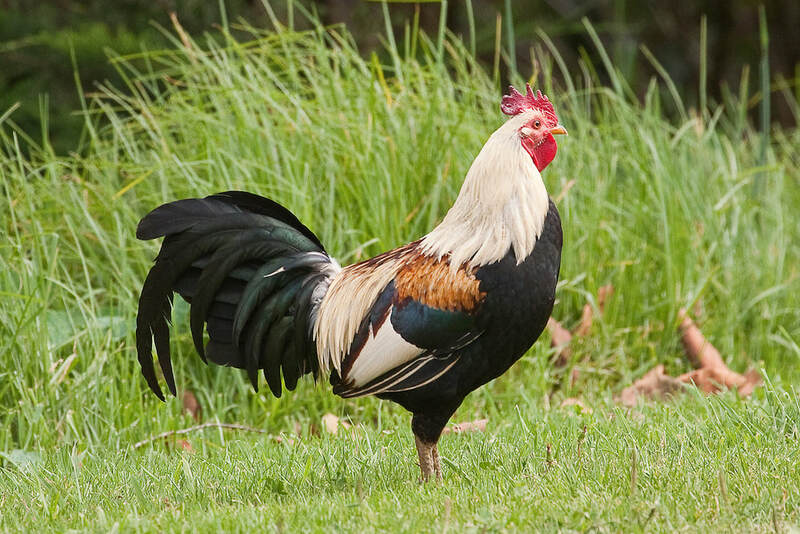 In most stories, it is Hina that is the mother of Maui, the demi-god. Hina is the goddess of fishing and tapa cloth making. She is the goddess of herbs and many Hawaiian herbalists still practice only collecting herbs in the light of Hina, the full moon. 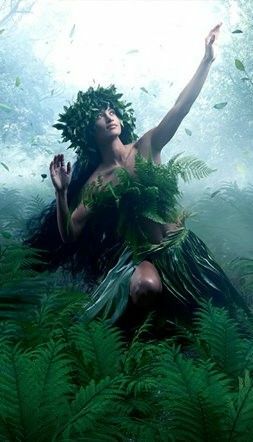 Laka is the goddess of the forest and Hula. 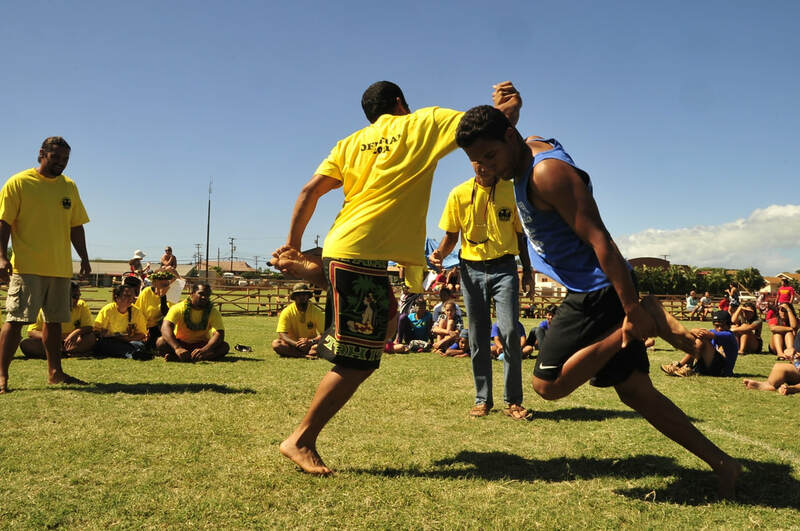 Yellow was the color associated with Laka and she is the reason why most Hula Halau are predominantly yellow. 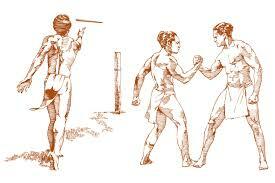 In some hula chants she is referred to as the sister of Lono. There is still an active temple dedicated to Laka on Kaua’i at Ke’e Beach which most serious hula practitioners visit at least once in their lifetime. An artist's depiction of The Hawaiian Goddess Of Hula, Laka. 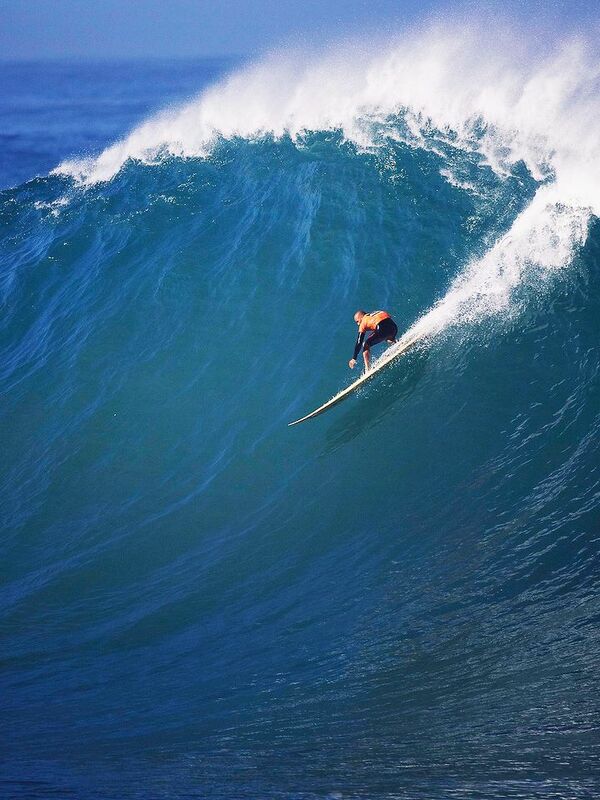 ​​Hi’iaka, the younger sister of Pele is also a revered Goddess. She is the goddess of fresh water and the clear sky. It is said that she would often warn sailors of approaching storms. She is also known to have brought the dead back to life. She is a healing deity often invoked by healers in chants. 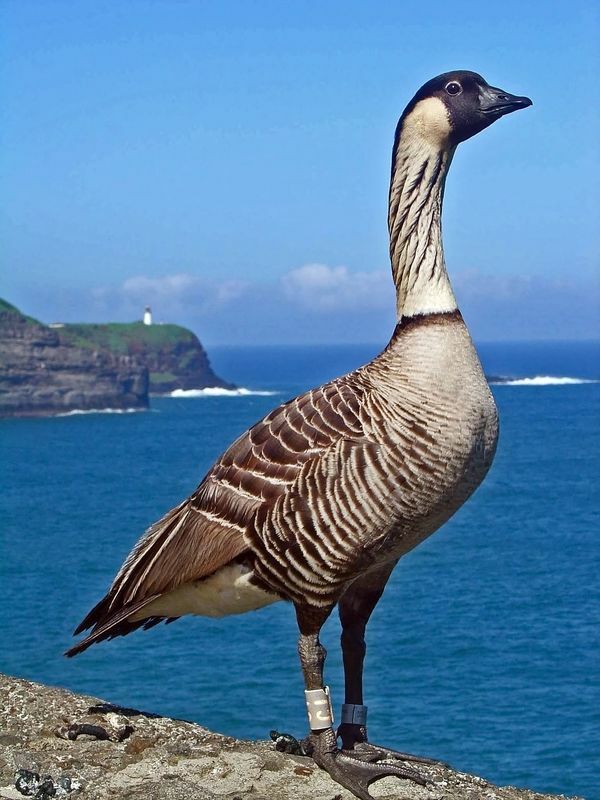 She is most associated with the red flower of the ohia lehua. There are scores more of Hawaiian gods and goddesses but these are the main female deities one is likely to encounter while in Hawaii. 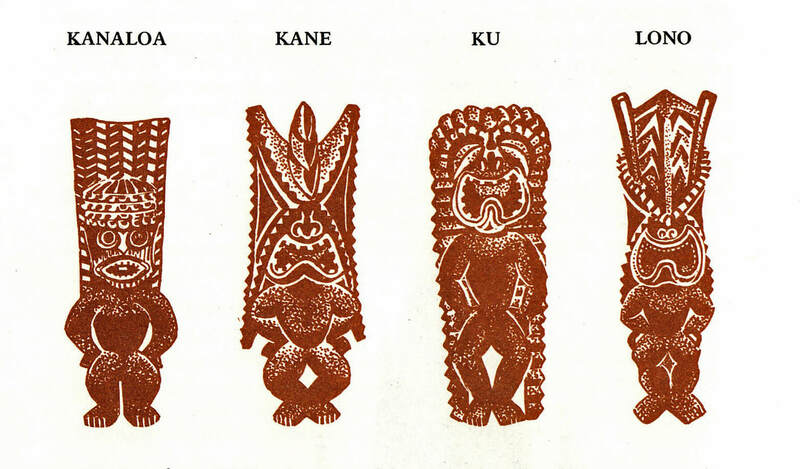 While it is true that the male 'akua of Hawaii are more visible today and there is certainly more information about them readily available than the female 'akua - one should also note that the female deities are the ones who have active worshippers. On the Big Island, you will be hard pressed to find anyone who doesn't believe in Madam Pele, every Hula Troop is actually a clergy for Laka and/or Hi'iaka, and the herbalists and midwives in Hawaii (and elsewhere) frequently invoke the names of Hina and Haumea. Battleship USS Missouri in action. 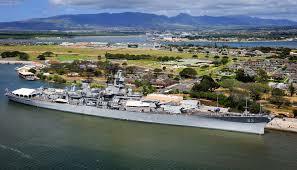 Battleship USS Missouri moored at Pearl Harbor. For many visitors, no trip to Hawaii is complete without a visit to Pearl Harbor. To most, what that means is a visit to the iconic USS Arizona Memorial. The Arizona, however, is not the only attraction to see at the Pearl Harbor Navy Base. The WWII Valor in the Pacific National Monument includes the Arizona Memorial, the USS Missouri, the USS Bowfin Submarine and Submarine Museum, the Pearl Harbor Visitor Center, and the Pacific Aviation Museum. Aerial views of Pearl Harbor and the USS Battleship Missouri. 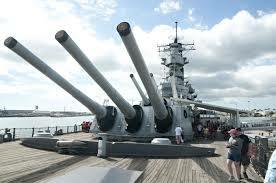 ​While the Arizona is the most well known, among those who have seen them all - the Battleship USS Missouri is often the favorite attraction of the bunch. The USS Missouri was the last battleship commissioned in 1944 and the last battleship to be decommissioned in 1992. 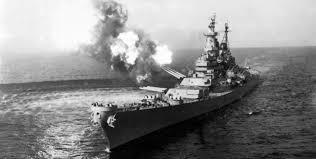 The Missouri is a destination that encompasses the famous ship’s service in every conflict from World War II to the first Gulf Wars - she took part in both Desert Storm and Desert Shield. On board, visitors will learn about the massive 16-inch guns which are capable of sending a 2700 lb bullet twenty-three miles! They will see the spot where World War II formally ended and the location on the vessel that the Japanese unconditional surrender documents were signed. Guests will see exhibits on kamikaze and learn about the kamikaze plane that crashed into Mighty Mo during WWII - and the pilot who flew the plane! The Missouri often surprises guests with her nearly 300-yard length and nearly thirty-story building height. Tours on board will expose guests to the crew quarters, the galleys, machine shop, computer labs, and even the onboard dental office! There are two options for guided tours and they range from about 35-90 minutes. Prices for the basic Mighty Mo tour are $29 for adults and $13 for kids 12 and under. Most guests spend between one and three hours on the Missouri. There is a lot to see and do. The last bus back to the Pearl Harbor Visitor Center from the USS Missouri leaves from the Battleship USS Missouri just after 4 pm. The Battleship Missouri is open for visitation every day of the year (except Christmas, New Years, and Thanksgiving) from 8am to 4 pm, Hawaii Standard Time. View of Battleship USS Missouri from the Pearl Harbor Visitor Center. 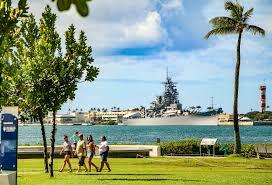 ​As with the Arizona Memorial and the Pearl Harbor Visitor Center, no bags are allowed. If it won’t fit in your pocket, you will not be able to bring it inside. Exceptions are made for plastic bottles of water and cameras (but without bags). 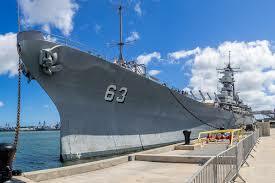 Our team here at Private Tours Hawaii offers one of the easiest ways to experience the USS Missouri and while you are inside, your guide will make sure that your valuables are safe and secure in our vehicle. 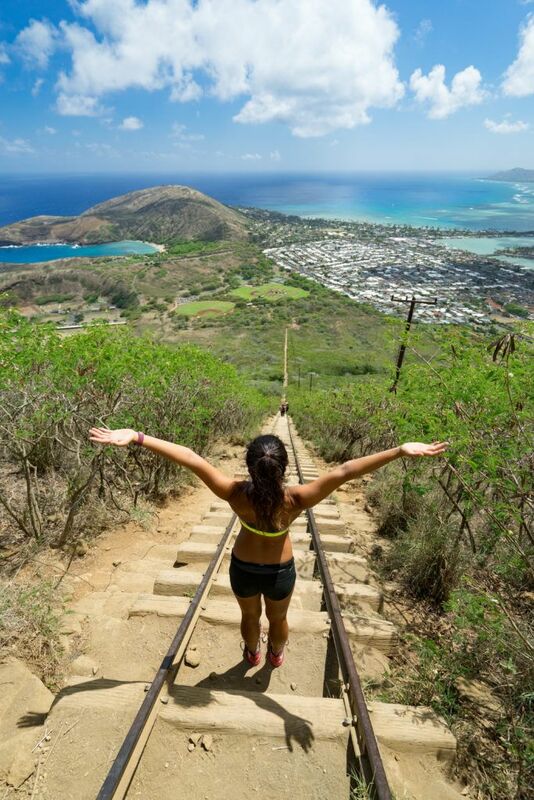 Instagram addicts already know about the Koko Head Stairs (Instagram #kokohead) - it’s one of the favorite spots on Oahu where would-be yogis and super-fitness freaks love to post pictures of themselves seemingly jumping into the void. The platform at the top of Koko Head makes for perfect selfies and posed shots. 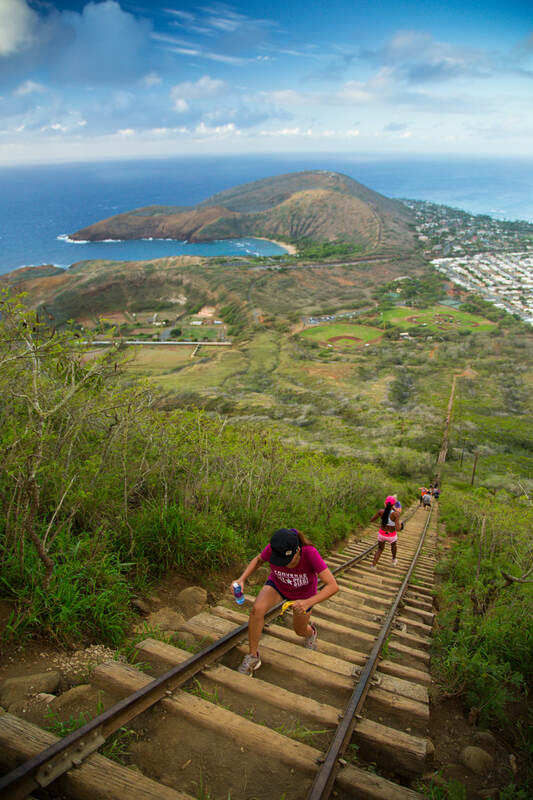 Hikers climbing up the Koko Head Stairs. Views of Hanauma Bay and Hawaii Kai. 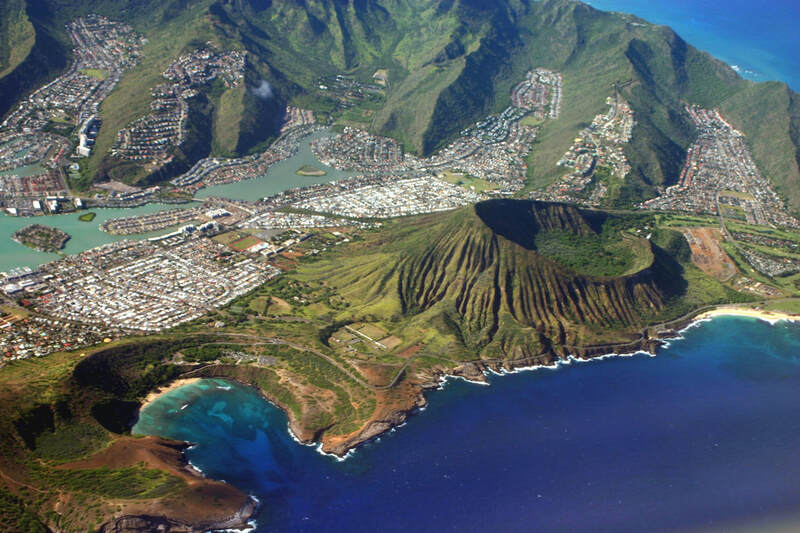 Koko Head is an extinct tuff cone volcano that last erupted 35,000 years ago. The Koko Head Botanical Garden is located inside the crater and from the top of the crater, visitors are rewarded with perfect views of East Honolulu, Hanauma Bay, and the South Shore of Oahu. 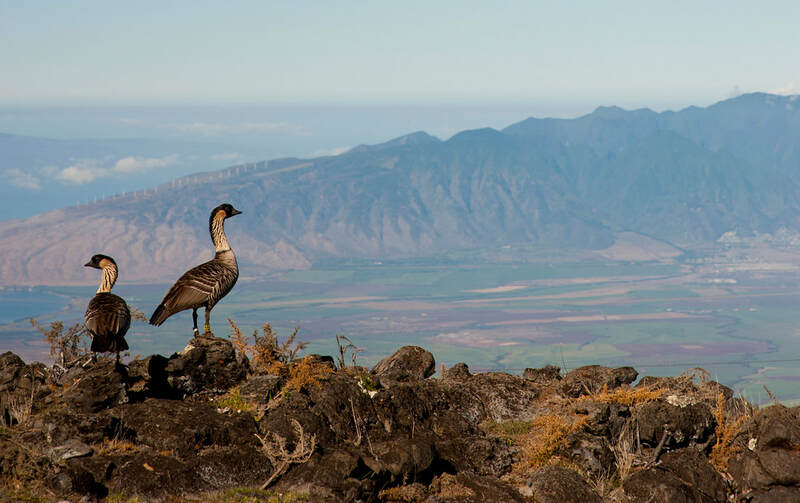 There are no entrance fees and on clear days you can make out the neighbor islands of Maui, Molokai, and Lanai across the Pacific Ocean. Aerial view of Koko Head Crater (right side of the image) and Hanauma Bay. 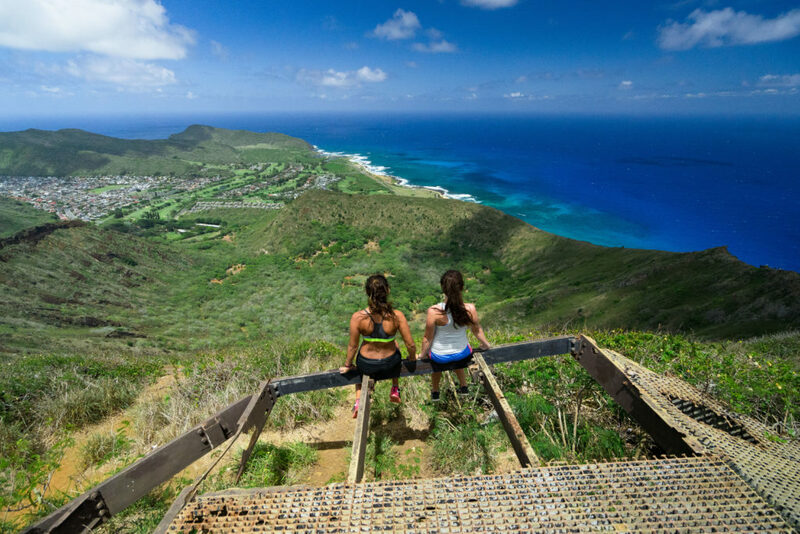 ​Koko Head was a military lookout point and the 1042 stairs you climb to reach the top are actually the remains of a steam powered funicular railroad that used to bring troops and equipment to the top. The peak elevation is at 1208 feet. 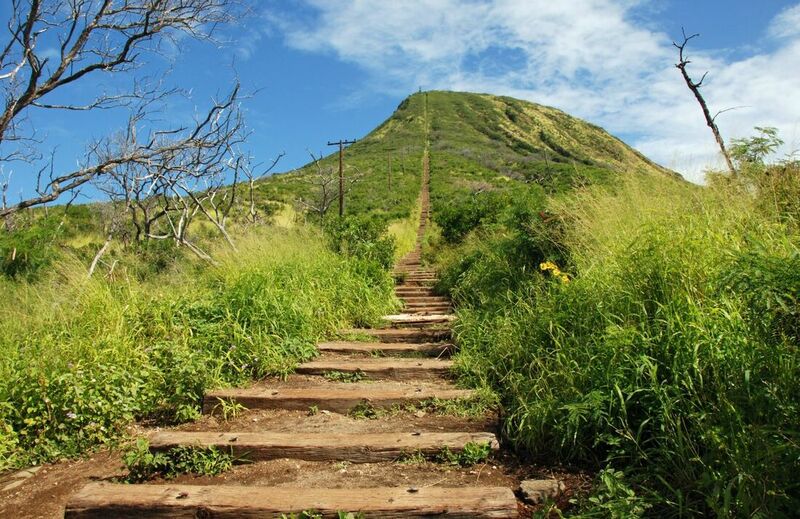 Koko Head's elevation is not that tall, but the stairs will wear you out. Because the steps are tall - so it’s like doing lunges all the way up. For those scared of heights there is a degraded railway bridge that will get your blood pumping as you go across it! Pacific Ocean views from the top of Koko Head Crater. 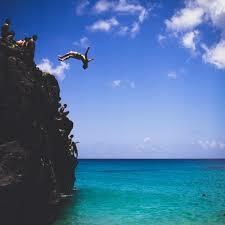 One of Oahu’s most visited wonders is the Halona Blowhole on the south side of the island. The blowhole sits between Sandy’s Beach and Hanauma Bay at a rocky overlook. 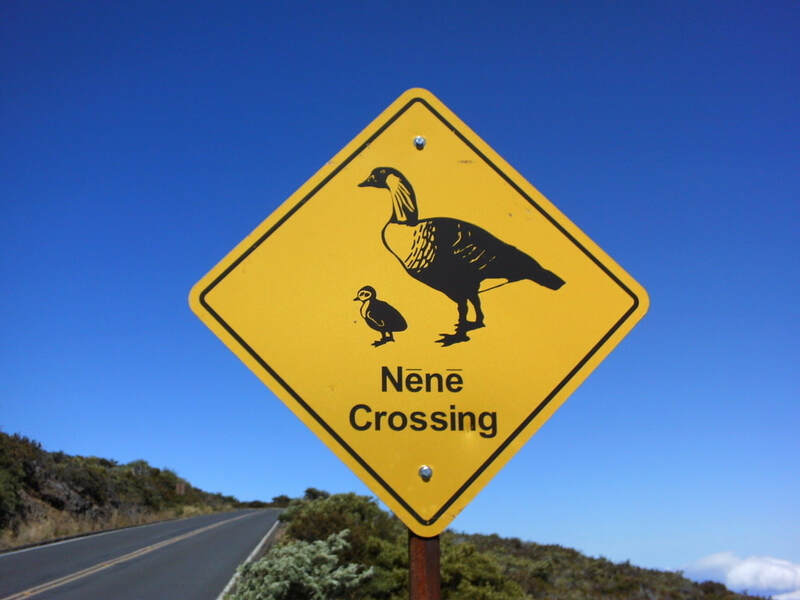 The word halona actually means ‘overlook’ in the Hawaiian language. 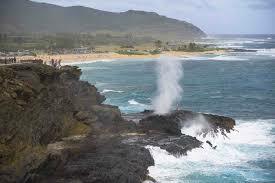 The blowhole was formed by the lava flows of the Koko Crater Volcano as the lava bubbled it's way to the ocean. The lava on the surface cooled the quickest leaving an underground river of lava which poured into the sea until finally, the last drop of lava was gone. At this point, a narrow tube of lava was left just above the low water mark. Over thousands of years, the pounding of the surf wore away at the edges of the tube, eventually breaking through the rock above and opening a hole to the sky above. This small fissure then was opened over many more millenia until it was large enough for the pounding waters to burst through and send geysers skyward - much to the delight of visitors. Halona Blowhole with Sandy's Beach in the background. 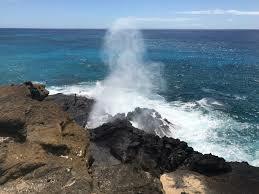 ​The conditions need to be just right for the Halona Blowhole to be active. 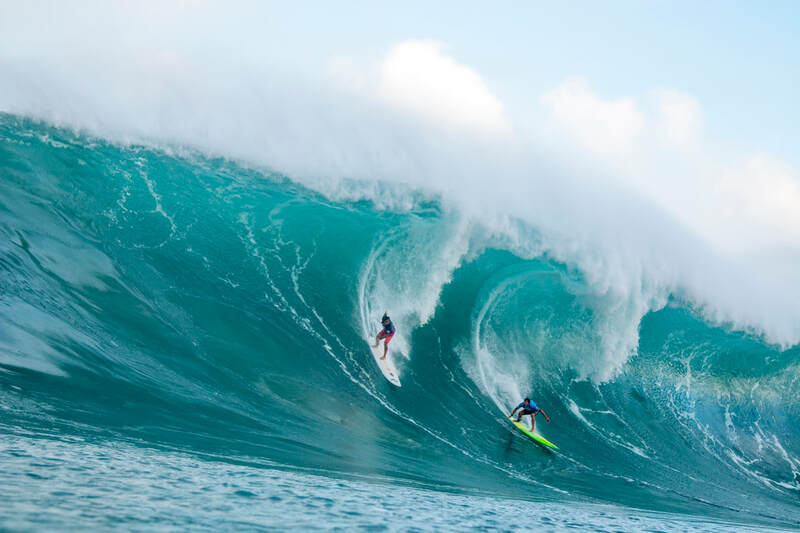 Ocean waves need to be coming from the right direction, have the right volume of water, and the tide needs to be high enough to reach the tube. If you catch it on the right day, the geyser will shoot as high as 30 feet (10 meters)! 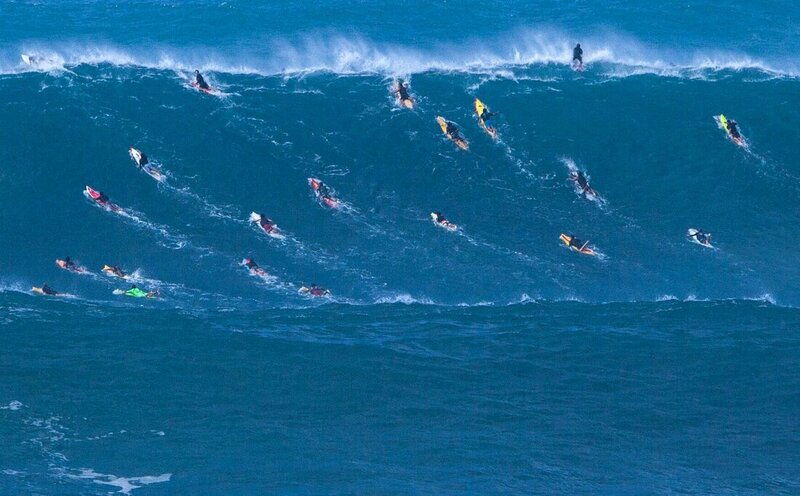 Body surfers at Sandy's Beach with Halona Blowhole in the distance. ​You can imagine that many adventurous people want to get as close as possible to the blowhole and feel the power of the spray - but this is illegal. There have been at least five fatalities and as a result, the state has put up signs, gates, and fences to keep visitors out of the danger zone. At least one of the fatalities was a teenager and happened in full view of visitors. He was blasted by the spray and then sucked into the blowhole. His body was found the next day. If you visit the Halona Blowhole, don’t miss Eternity Beach which is the small sandy beach at the other end of the Halona parking lot. 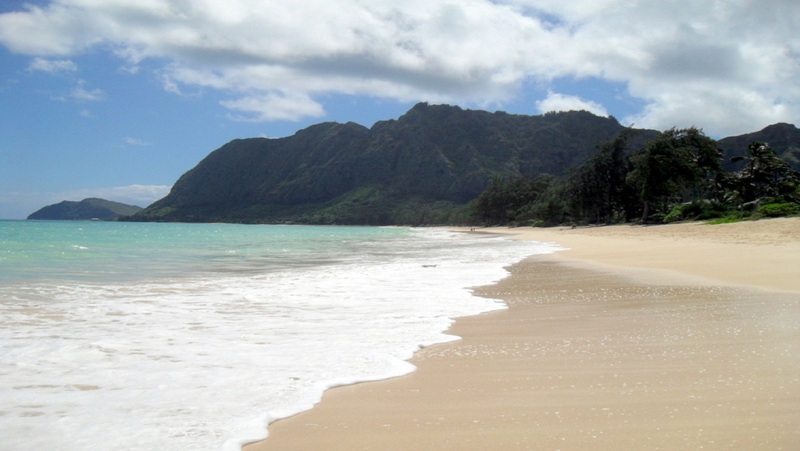 It was used most famously in the movie From Here to Eternity but also was featured in 50 First Dates, Jurassic World, and even a Nikki Minaj video. If you decide to take a swim, just be aware of the dangerous currents nearby since there is no lifeguard present at this particular beach. Eternity Cove near The Halona Blowhole.